The new 5G network is not only going to affect smartphones, but it's also going to cause a revolution in the way we move around, making autonomous cars possible. Although the first tests have already been carried out, a stable 5G network is necessary to make this a reality. 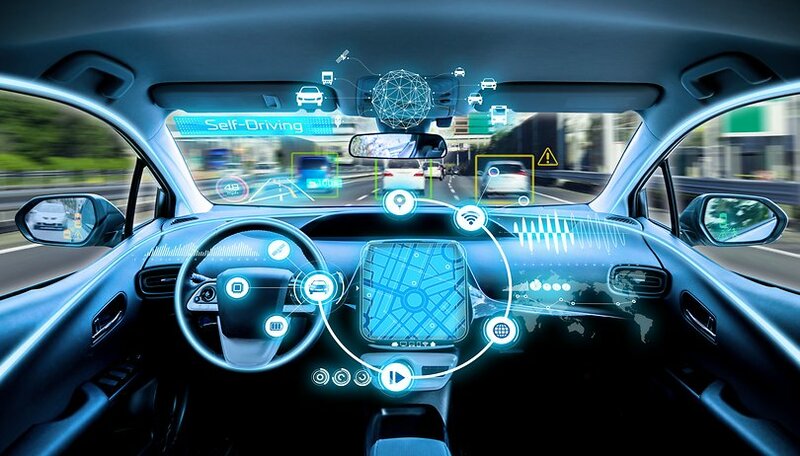 But 5G will not only involve the arrival of the autonomous cars, but it will also greatly improve so-called connected cars. By autonomous car, we mean one that can move around without a driver. This, which looks like science fiction, will become a reality in the next few years, and 5G has a key role to play in its development and dissemination. It should also be noted that there are 6 levels of SAE automation, level 0 being classic cars with no automation, and level 5 is those that are 100% autonomous. If you want to know more about these levels, we recommend our dedicated article. On the other hand, the connected car is the one that still needs someone behind the wheel, but that communicates with its environment and receives constant warnings and data, facilitating assisted driving. The connected car uses C-V2X (cellular vehicle to everything) technology, with which it communicates with its environment. For example, you can warn other vehicles with the V2V in the event that something has broken down and you are on a wrong trajectory, thus avoiding a possible accident. In the same way, it can warn pedestrians of possible risks (V2P, vehicle to pedestrian) or communicate with traffic signs (V2I, vehicle to infrastructure), to know, for example, who has priority. This technology needs constant communication to be fast and effective. For that, we need the 5G network, which brings advantages in three aspects. The first of these is speed. The jump from 4G to 5G network can mean an increase of the current speed by 20 times, reaching maximum speeds of 10 GB per second. The second is reduced latency, which is basically the response time from when an instruction is given to a device until it reacts. If we are to be constantly connected to our environment, we need instant communication, especially in the case of autonomous cars to avoid possible collisions and accidents. Finally, the 5G network will allow millions of devices to be connected at once, without worrying that the network will become saturated. There is talk of up to one million devices per square kilometer being available, so that all kinds of things can be connected to the 5G network. Although we never tire of repeating the importance of developing a 5G network for the future (and present) of our cars, the European Union is not so sure and is favoring Wi-Fi instead of 5G in its Legislation of Connected Vehicles, opting for the 802.11p standard. The GSMA, which represents the interests of mobile operators and organizes the MWC in Barcelona, has protested and is trying to convince EU Member States to reject these proposals. According to its point of view, the 802.11p Wi-Fi network is an obsolete technology for the connected car. Interestingly, this new legislation contradicts the 5G Action Plan proposed by the European Union itself, according to which all major land transport routes in the EU must have uninterrupted 5G coverage by 2025. In favor of Wi-Fi ITS-5G (as this technology has been called), we find manufacturers such as Volkswagen and Renault. Conversely, those who push for a standard that favors 5G include Ford, Daimler and the PSA group (Peugeot-Citroën-Opel), as well as Vodafone, Huawei and Qualcomm. If nothing changes, this law will be in force for three years, resulting in lost time for the implementation of 5G in Europe, which already lags behind the United States and China in this regard. What are the advantages of a connected car? Once all this legislative framework stuff is resolved, and the 5G network is operating normally and functioning properly (for which we will have to wait a while), the advantages will be innumerable. First of all, road safety, both for drivers and for pedestrians and cyclists, will be significantly improved. The warning system and constant communication will reduce the number of accidents. Also, traffic jams will be less numerous as the flow of traffic will be able to be directed more efficiently. At all times you will know the state of the roads and what is the fastest way to get to your destination. If we talk about the autonomous car, the advantages go even further. Forget about picking up your car where you parked it: it'll come and pick you up. In the same way, you won't have to be going around when you arrive at your destination looking for a parking space, since you will be able to get out of the vehicle, and it will worry about looking for parking. And, the most important advantage, is the one that gives us the chance to travel by car without having to be aware of the steering wheel and the road, with which new possibilities for work and entertainment are opened up. Do you think the 5G network is going to change the way we get from A to B? Let us know. All they talk about is 5g, 5g. Why spend all the money now. Buy that time every carrier has 5g it will be another 2yrs, yikes. Wait till everyone has it & the prices for a 5g phone will drop like a lead balloon!